I’ve often felt sorry for Australians. Not for any real reason (I mean I’d take that awesome accent any day! Plus they live in a gorgeous country). No, I feel sad for those Down Under because they don’t get to experience the classic Christmas that many know and love. December 25th falls in the middle of the Australian summer, and that means bright sun and hot weather. No snowy, winter wonderlands, no festive scarves, no hot chocolate by the fireside (sob). I’m a big fan of the classic, traditional Christmas experience, and that’s why I adore Christmas in New England so very much. Here, the postcards and carols come to life. Here, the snow falls like clockwork, and a roaring fire is never far away. Australians, I know you have a wonderful Christmas frolicking on the sandy beaches of paradise, but if you’re ever after that classic winter scene, look no further. A New England Christmas will be just what you need. I wanted to share my love for this region’s Christmas season, so I asked some of my friends and fellow New Englanders to contribute their favorite New England holiday destinations and traditions. If you’re considering Christmasing up in this lovely part of the Northeast, these New England Christmas traditions and towns will give you a great start to your planning. Where’s YOUR favorite place to celebrate Christmas? 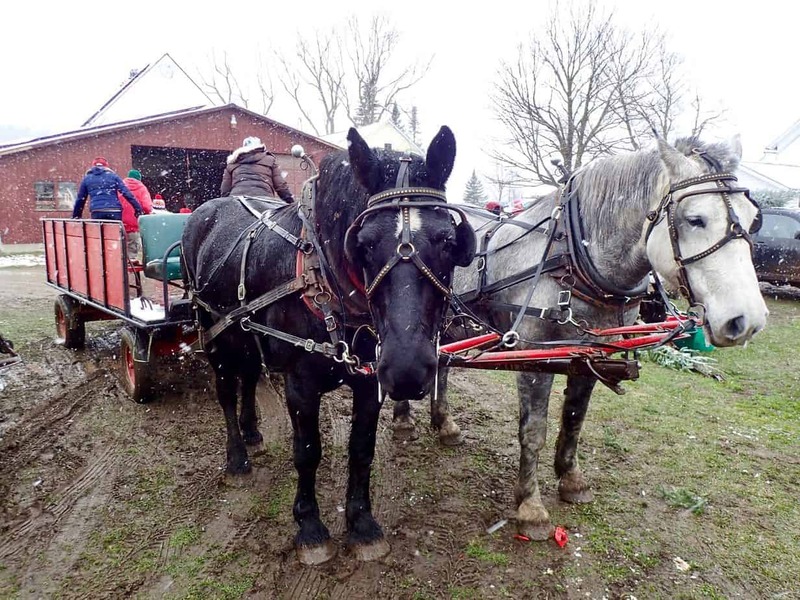 There is nothing more magical than a horse-drawn sleigh ride during the winter. Except maybe taking a sleigh ride through the snow in Vermont to cut down your Christmas tree. Picking out our tree at Dave Russell’s Christmas Tree Farm has become an annual family tradition. Visitors are greeted warmly by members of the Russell Family who also double as their farm hands. While you wait for your sleigh to arrive, they’ll offer you a cup of steaming hot chocolate or a homemade cookie from their warming parlor. The bells on the horses’ harnesses jingle as you make your way out to the fields. Families often sing carols as well. The scent of evergreen trees permeates the air as you arrive in a field filled with balsam fir trees of all sizes. There are saws for you to use to chop down your perfect tree and their staff comes around to pick up it up to bring back to the barn. There your tree will be baled loaded into your vehicle. Dave and his family are so genuine and helpful. It is clear that they have the spirit of the holidays in mind which they share with all of the visitors who come to their farm. They open the day after Thanksgiving through Christmas Eve and are located in Starksboro, Vermont. The holidays are the perfect excuse to eat your fill of tasty desserts and seasonal flavors. Perhaps you have an old family recipe you love to make every year, or perhaps you’ll try something new using New England’s bounty. Christmas in New England is truly something special and something that I believe everyone should experience at least once in their life. It’s so much more than a thing, it’s a feeling. It’s the joy on the children’s faces as they ride their new sleds down the hill, it’s the gratitude to your neighbor for digging you out when you get stuck in your own driveway because you’re in a rush for a holiday party, and it’s the love that fills a home with family and friends packed in for the festivities. When I think of Christmas in New England, I think of freshly fallen snow, flannel sheets, and cast iron specialties. It’s not just the most wonderful time of the year, but the coziest too, and the means delicious Bakewell biscuits, pumpkin pie, baked beans, and cranberry EVERYTHING! As a born and raised New Englander, I’m all about the cranberries and I take any chance I get this time of year to throw those tart red berries in a recipe. 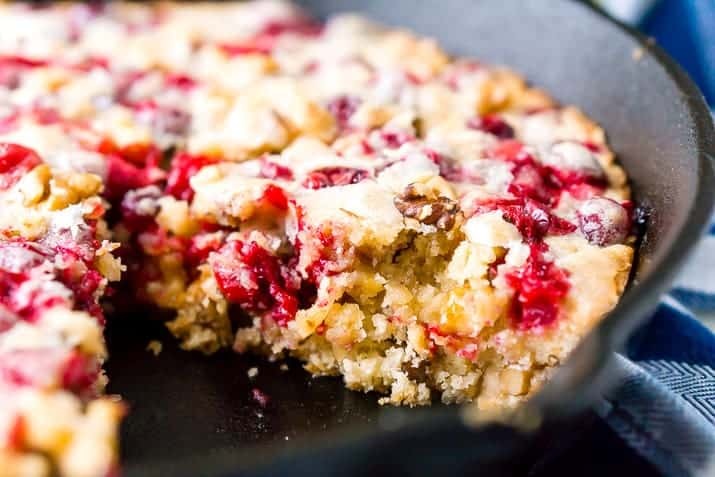 This recipe gives a whole lotta love to my Northern roots, you’ve got a cast iron skillet, cake, and cranberry, now I don’t know about you, but that sounds like Christmas dessert perfection to me. 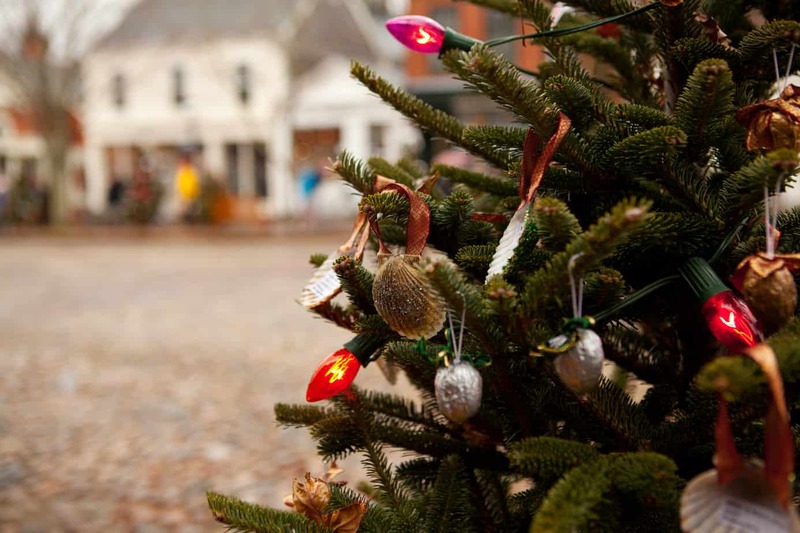 Christmas can be a great time to visit New England’s fine towns and cities. Newport, RI, with its famous mansions shines especially bright with its holiday decor & celebrations. In the Roaring 20s, Newport, Rhode Island was the place to have a vacation home for the United States’ new wealthy citizens. Families such as the Vanderbilts built huge, ornate mansions perched right on Newport’s cliffsides. These mansions are worth visit any time of the year, but are an especially charming place to see all decked out for Christmas. 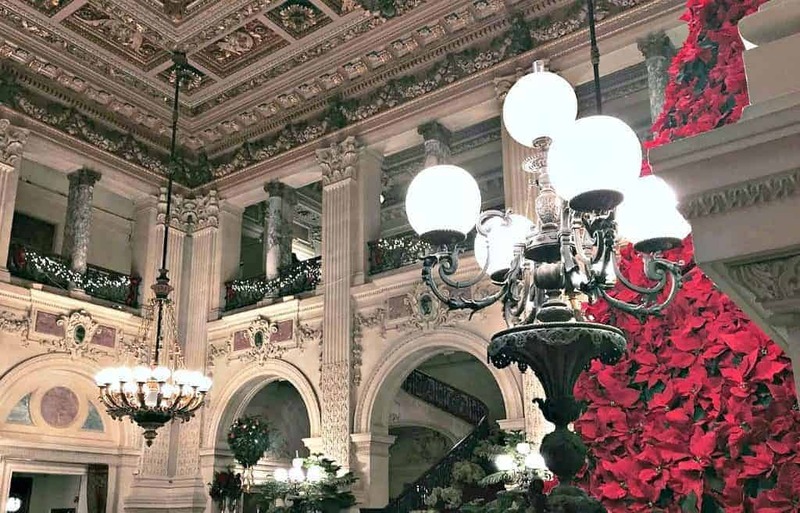 Three of Newport’s mansions The Breakers, The Elms and Marble House, are open during the holiday season to tour while they are decorated. The kitchens of the Breakers, which is my favorite mansion at all times of the year, has a large display of gingerbread houses. You can also watch quintessential holiday show, The Nutcracker, on a unique stage. The production at Rosecliff dances throughout different rooms in this mansion modeled after France’s Grand Trianon at Versailles. After exploring the mansions, you can go into downtown Newport for dinner at any of the incredible restaurants and walk along the decorated docks. Visit The Daily Adventures of Me for more inspiration on how to celebrate the holidays in Rhode Island. New England boasts stunning outdoors, and in the winter time, everything is typically covered with a blanket of white. Take advantage of the snow and go skiing. Vermont and New Hampshire are some of the top spots for snow sports in New England. 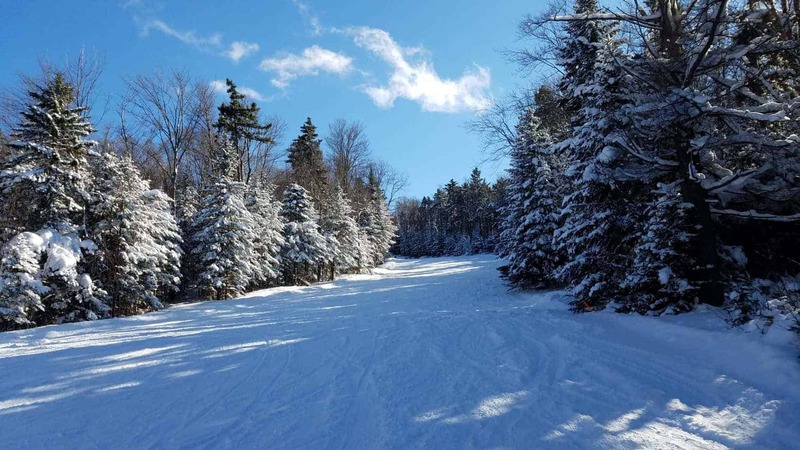 Skiing in the White Mountains of New Hampshire is the ultimate Christmas time activity in New England. Nothing compares to the magical feeling of gliding through snow-covered pine and fir trees after a snowfall. The whole area feels like a scene from a Norman Rockwell painting. The beauty of the mountains around is sure to make you feel festive. Some of the best holiday spirit is found entering a ski lodge after a day on the mountain. Huge timbered ski lodges decorated for Christmas, with a roaring fire in the hearth, and a cup of hot chocolate is simply bliss. To experience another side of the skiing in New England, try cross-country skiing in the White Mountains. The elaborate trail systems are seemingly endless and may make you feel like humming Christmas carols as you go. Some trail systems even have quaint warming huts that offer a fun atmosphere to meet people, share some laughs, and really bask in the Christmas spirit. Skiing in the White Mountains of New Hampshire is Christmas! Often, a New England Christmas means a beachy Christmas! It’s worth heading to the coast for unique celebrations. Cape Cod might not spring to mind when you think of Christmas in New England. Let me assure you, though, traditions with a nautical flare abound. Santa always arrives by boat, and Provincetown decorates a “tree” made from lobster traps with twinkly lights and bright red bows in the center of town. Hyannis Harbor lights up during the annual Harbor Lighting and Boat Parade. The whole month of December is jammed with holiday cheer by the sea. Christmas strolls are a popular event in each town and on the islands, the one in Barnstable Village being my favorite. Main Street in the village is closed to car traffic while bundled-up revelers sip hot apple cider and snack on New England clam chowder or cookies provided by local businesses. Perhaps my most favorite tradition of all, in keeping with the seaside theme, is decorating with seashells. 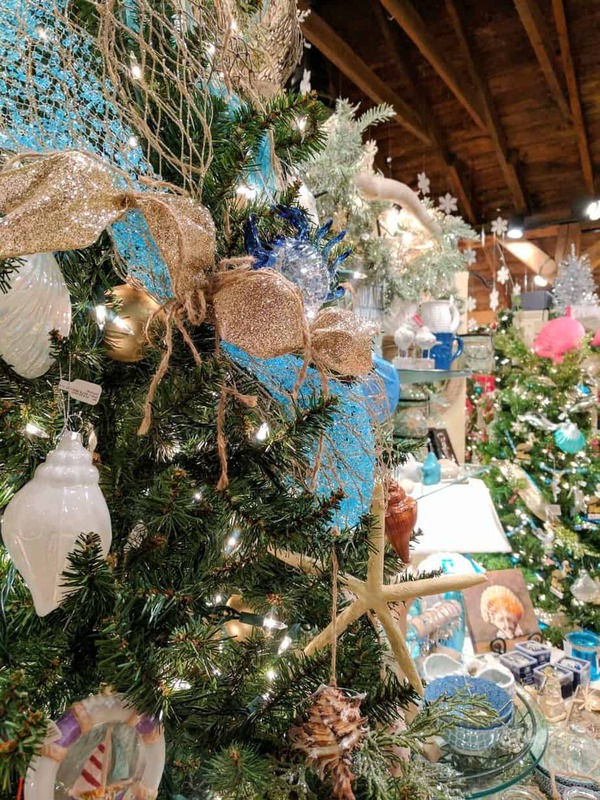 I love seeing colorful scallop shells, shiny jingle shells, or swirly purple wampum (made from quahog shells) dangle from the branches of a sparkling Christmas tree. Cape Cod is traditionally a summer spot, but there are still ways to get a little sand in your shoes during the winter, too! 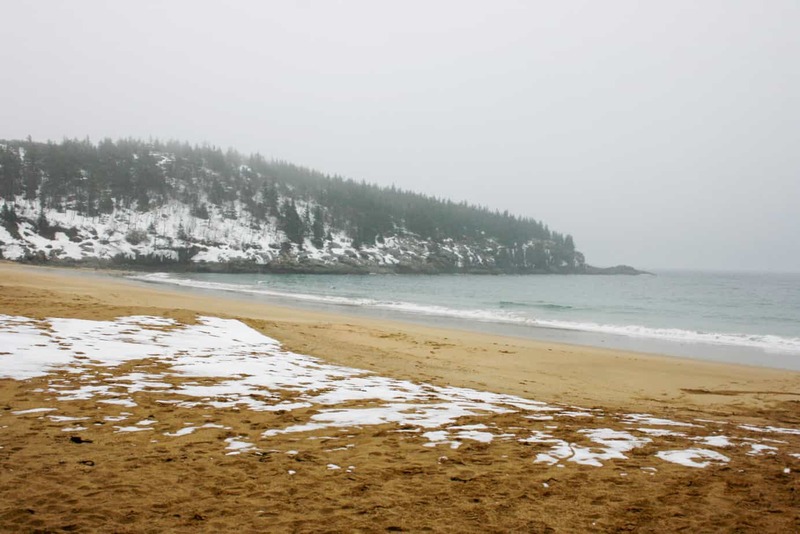 It may comes as no surprise that New England in the winter time can be quite chilly! But getting out and playing in the cold is a New England Christmas tradition not to miss! If there’s something us New Englanders aren’t afraid of, it’s the cold. We’re the masters of layering and preparing for all that winter may send our way. With that being said, my fiancé Dan and I love to stay active even during the holidays. Who wouldn’t want to explore the breathtaking frozen landscapes ahead? Our favorite trails are within Acadia National Park in Maine. Parts of Acadia will be closed for the season, but the few attractions left open and worth visiting are the trails at the Schooner Head Overlook, Sand Beach, Seal Harbor Beach, and Jordan Pond. You’ll get to see Acadia in an intimate light that most visitors have never experienced. Imagine wobbling across a frozen lake into the foggy abyss, prancing beneath snow-covered pine trees, then unpacking a homemade lunch paired with a hot thermos of cocoa to warm yourself up. Acadia National Park is super magical this time of year and our favorite tradition together! New England boasts phenomenal seafood, and you can enjoy it throughout the year. For many of us Yankees, these dishes are at their best around the holidays. I grew up in a tiny town in central Maine, so many of my Christmas memories involved playing outside in the snow. From making snow forts to sledding on a handmade toboggan to snowmobiling through the woods for hours, we found plenty of ways to entertain ourselves outside. But when we hung up our gloves, hats, and snowsuits to dry, one of the best ways to warm up and get cozy inside was with food. Soup or hot mulled cider were regulars during the winter, but it was always a special treat when my mom made some kind of chowder. 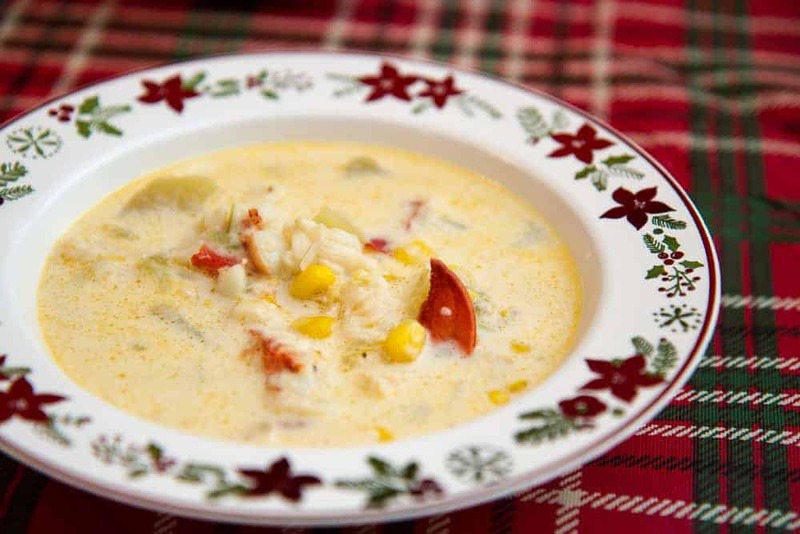 It could be fish chowder (made with haddock), a simple corn chowder, or the ultimate: seafood chowder (which includes any and all seafood that you want to throw in the pot). Now that I live several states away from Maine and am only home around Christmas or New Year’s, “chowdah”—served alongside my grandmother’s famous homemade rolls—has become somewhat of a tradition on Christmas Eve. In New England, Christmas decorations are in full swing. From ornaments for our pine trees to outdoor lights and garland. Here you’ll find festive items to adorn your whole home. Each year, Cataldo’s Gift & Garden in Littleton, Massachusetts, designs dozens of stunning Christmas trees by theme like no other. It has been my go-to locale for unique, quality ornaments to commemorate any milestone or hobby for as long as I can remember. My Mum and I go together every Christmas to pick out ornaments for the family and to get in the spirit of the season. 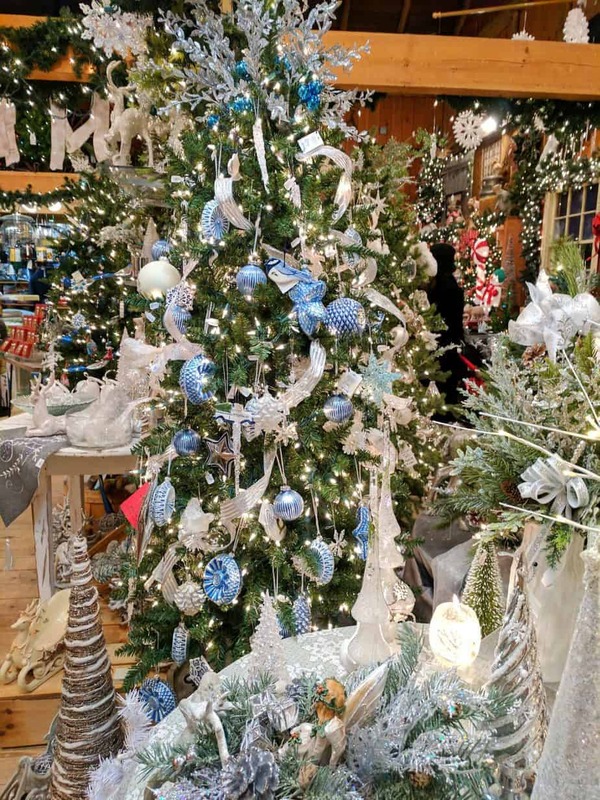 In addition to the many trees, there are decorations and gifts galore, and Cataldo’s is a nursery as well. Pick up a real tree and wreath while you’re at it! No detail is overlooked, and you can wander around the store several times, discovering new gems as you go. The feel is much more Christmas wonderland than retail and the wooden building and decor are reminiscent of a luxe cabin— in fact, it’s a former dairy barn. Swing by for some hot cider and quintessential New England vibes! 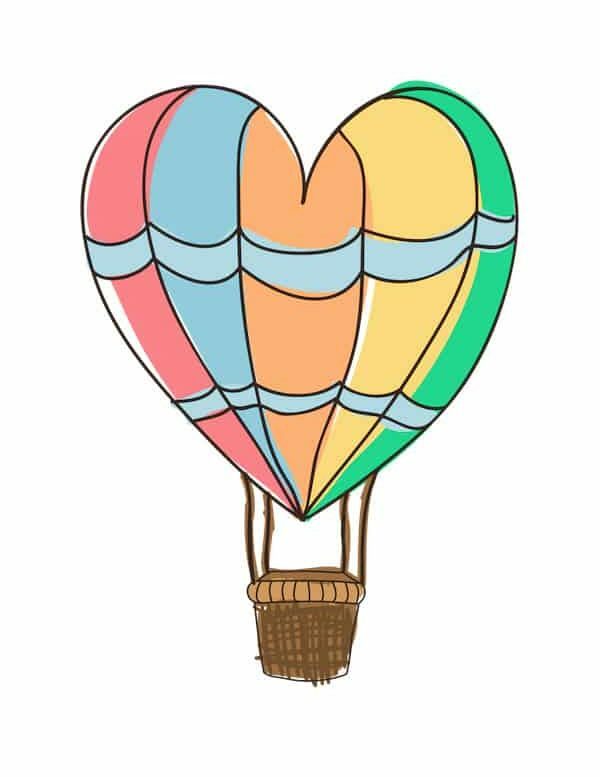 Amy of Two Drifters says…. If you’re a Christian, heading to church on Christmas Eve or Day may be a part of your traditions. This has always been one of my favorite parts of the holiday. 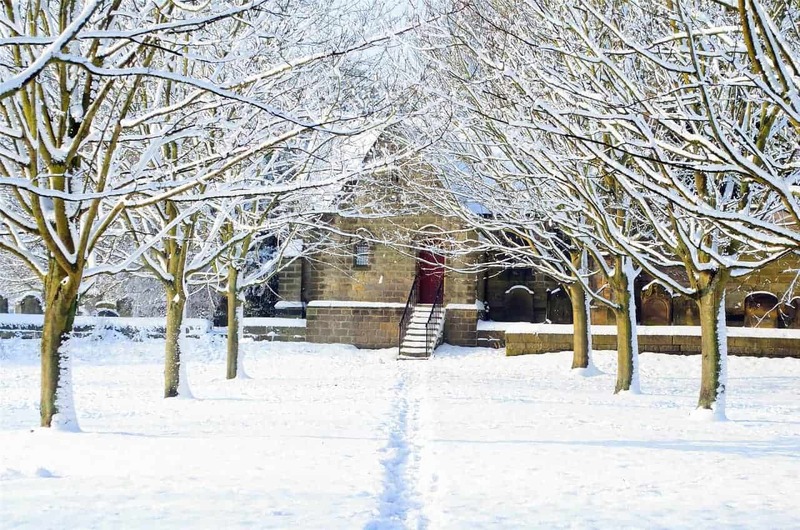 In New England, the churches are magical, and on Christmas Eve, as the snow falls quietly around, there’s an air of mystery too. This such an integral part of Christmas to me. I love the tradition of attending church with family. I love the excitement of dressing up in Christmas finery and bundling up to make the chilly trek to the church. As a kid, I was bursting with anticipation for the night ahead and Santa’s arrival. And now, I treasure the quiet, celebratory moments reflecting on the birth of Jesus, the Light of the World. To find holiday events in New England, check out this resource. This place looks so magical!! I now look forward to Christmas!!!!!!! !